Another college essay from Ellen. After several hours in the car with my informally-adopted older brother Gaverick, talking about everything from the idea of multiple infinities to the possibility of developing universal vaccines, I was surprised by this question. I had never heard of Pascal’s Wager, and asked him to explain. Pascal’s Wager is an argument, not for the existence of a god, but for the usefulness of belief in a god. The Wager suggests that, even if the probability of the existence of any god is very, very low, the benefit of believing in a god is still worth it, because the possible payoff is infinite – eternal happiness in whatever paradise your god’s afterlife would provide. Given that both my adopted brother and I are utilitarians, such an argument was immediately interesting. My immediate reply was that you had no guidance on which god to pick. However, this wasn’t a solid counterargument against the idea itself. I was slightly frustrated – the whole idea seemed cheap, the rationalization of an otherwise logical person who wanted to believe in the divine. It wasn’t as though I was unfamiliar with various arguments posed by the religious, having encountered them often when answering questions about why I am a freethinker: where the universe came from (then where did god, who must be infinitely more complex, come from?) or why the cosmological constants were “fine tuned” for life (something currently unexplained isn’t “proof” of the inexplicable), etc. But this one stymied me. Gaverick had no easy answers either – he had asked an honest question, not a leading one designed to reveal something he already knew. Coming from an adult, this greatly impressed the thirteen-year-old me. I was left to mull over the conundrum. I elaborated, talking out the idea as it formed: Presumably, children raised to believe in a god would genuinely believe in that god, and would therefore benefit in the improbable event that god existed. I was surprised by my own argument. Even though this approach hadn’t worked for my parents and “brother” – all were raised in religious families and had turned out atheists – it was nevertheless a logical argument. Regardless, I am willing to bet my soul against Pascal. 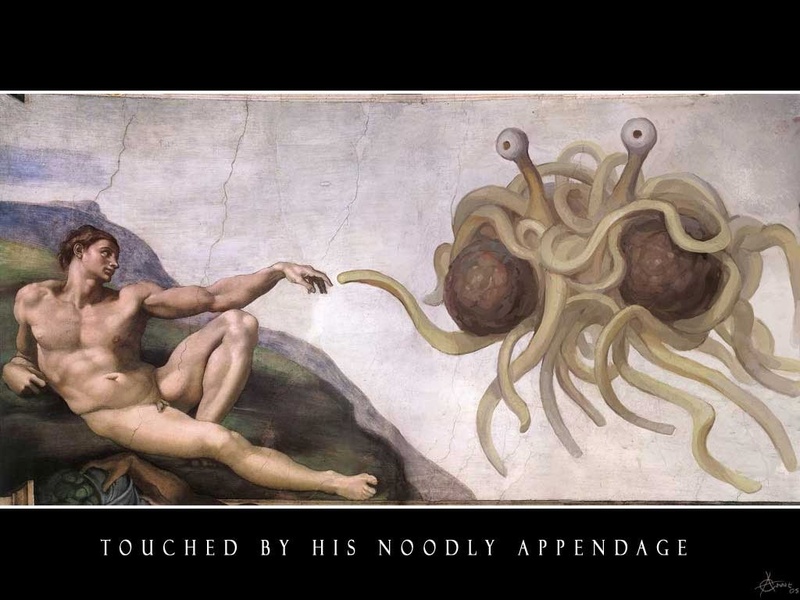 If I’m wrong, I can only hope The Flying Spaghetti Monster will explain His Noodly Preference for blind faith over logic and reason. In the meantime, I’ll keep using my god-given brain until condemned to Hades. Fortunately, I’m from Tucson – I’ll enjoy the heat.